Display Maid allows you to save and restore window locations based on your display configuration. If you have a laptop that you use with one or more external displays, and you're tired of having to rearrange your windows every time you connect/disconnect your display, then Display Maid is for you. Arrange your windows the way you like and then save the positions of those windows. Restore the last saved set of window positions with a single click, or keyboard shortcut. Windows can be saved/restored globally, or by individual app. Window layouts are owned by a specific display configuration. Save one set of windows with a single display, save another set with multiple displays. Those layouts will only restore with the appropriate display configuration. Let Display Maid automatically restore window positions when a display is connected/disconnected. Before Display Maid can work properly you will need to grant it the ability to control your computer. 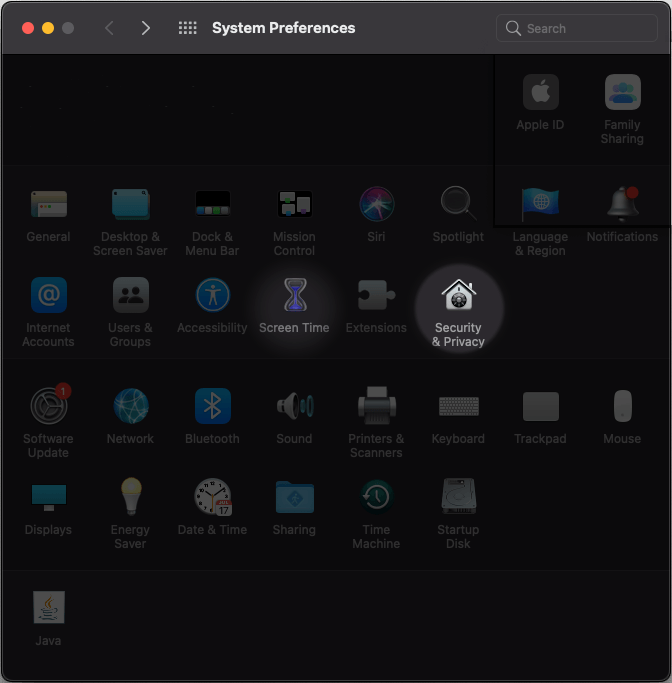 To give Display Maid the access it needs open System Preferences and open the Security & Privacy pane. Next click on the "Privacy Tab" and then select "Accessability" in the list on the left. If you have already opened Display Maid it may appear in the list of apps on the right side of the window. 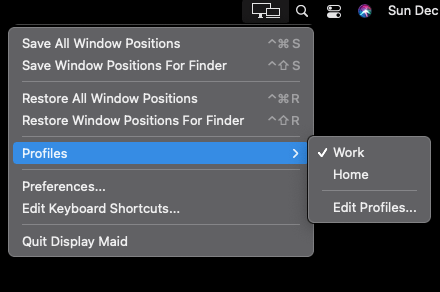 If Display Maid does not appear in this area you can add it to the list either by dragging and dropping the Display Maid icon from the Finder to the System Preferences window, or by pressing the '+' button and finding Display Maid. Check the box next to Display Maid and you're done. You may need to click on the lock in the bottom left hand corner and provide an administrator password before performing the last step. Display Maid lives up in the menu bar, out of the way. Use the Display Maid menu to save your window positions, either globally, or in the front most app, and then restore them again when things get messy. Enabling this option will allow Display Maid to detect when an external display is added or removed and then automatically restore the window layout for the current display configuration if one exists. 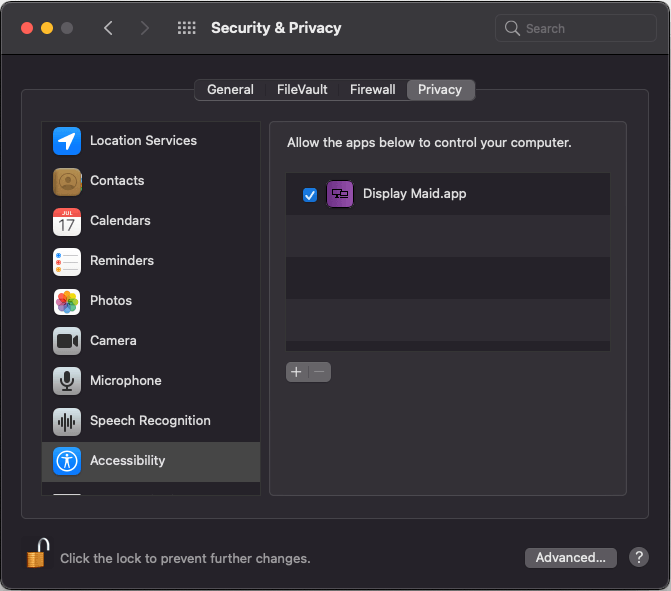 Enabling this option will make sure Display Maid is launched every time you turn your computer on.